The Rum Swizzle is very similar to the Daiquiri. Both use light rum, the juice of half a lime, and 1/4 ounce simple syrup or 1 teaspoon of powdered sugar. The difference is, the Rum Swizzle adds Angostura bitters for a little more complex taste, and an ounce more of rum for an extra punch. The Rum Swizzle makes a great pre-mixer, especially for a summer party… or a winter party where you want to make it feel more like summer. 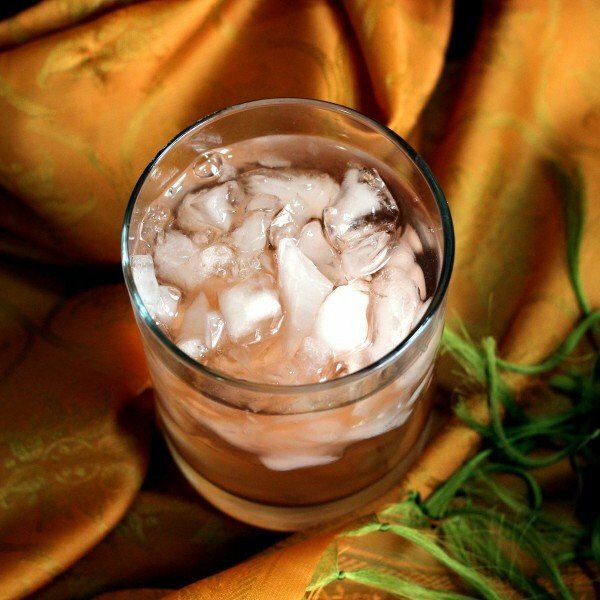 Put the ingredients in a double Old-Fashioned glass with lots of crushed ice, stir vigorously. Newer versions of the recipe put everything in a Collins glass and add carbonated water to fill it up. If you find the rum packs too much punch in the traditional recipe, then the carbonated water version is a nice alternative.